You got me squire lol! I keep changing the EP pairs in the bino box. 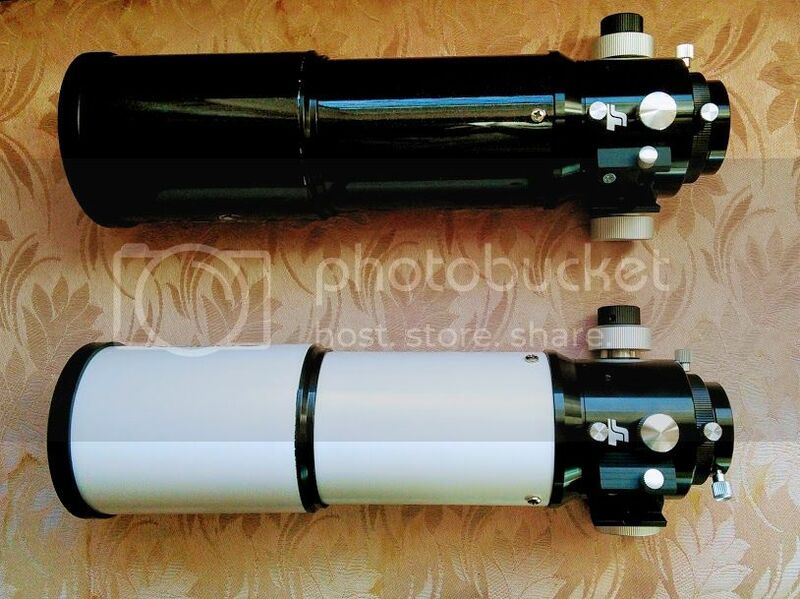 I recently swapped two TeleVue 15mm Plossls for these 17mm Barsta Plossls (the drawtubes are William Optics). 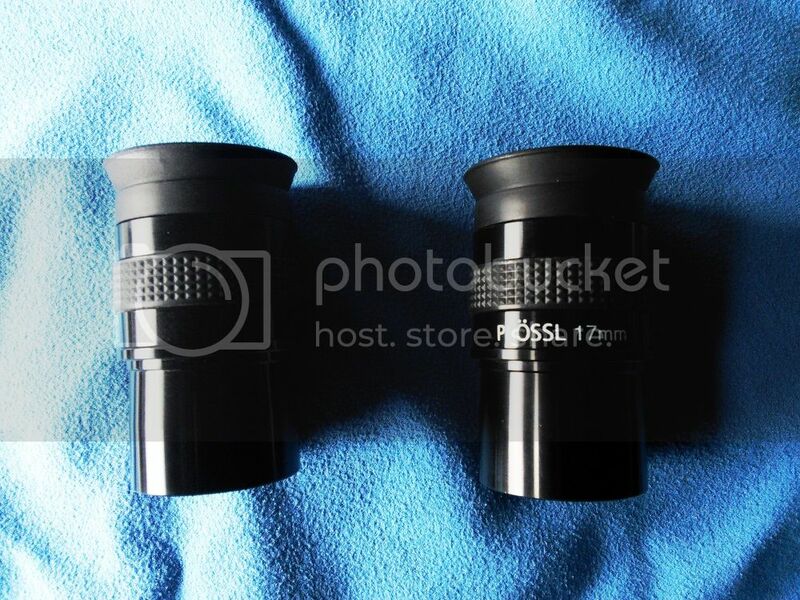 I've also recently added a pair of SvBony 10mm Aspherics, dunno how long they'll last though. I may have to get a bigger case lol. I doubt it, as I can post linked images anywhere. Hmmm ... 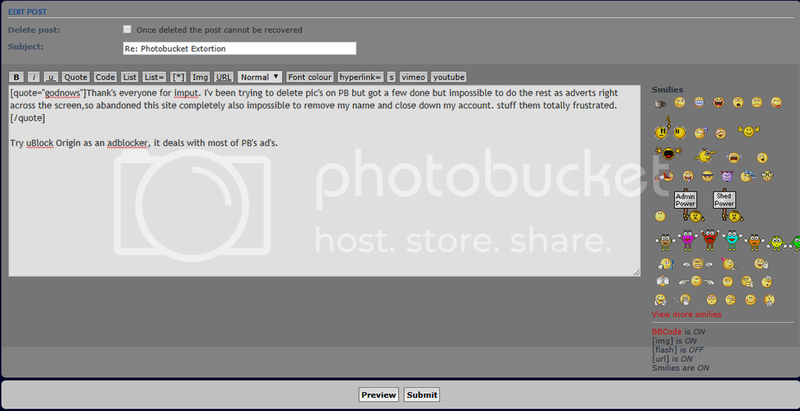 I got a promotional email from PhotoBucket. The end may be nigh. Thank's everyone for imput. I'v been trying to delete pic's on PB but got a few done but impossible to do the rest as adverts right across the screen,so abandoned this site completely also impossible to remove my name and close down my account. stuff them totally frustrated. godnows wrote: Thank's everyone for imput. I'v been trying to delete pic's on PB but got a few done but impossible to do the rest as adverts right across the screen,so abandoned this site completely also impossible to remove my name and close down my account. stuff them totally frustrated. Try uBlock Origin as an adblocker, it deals with most of PB's ad's.